The School of Mass Communication offers four unique majors that are tailored to each of study. Every major prepares students for work in a wide variety of media-related fields while taking time also focus on a specific area of study. A BA in Mass Communication with an emphasis in Journalism prepares students for careers in newspapers, magazines, radio, television or internet journalism as reporters, writers, photographers, or editors. For the Bachelor of Arts Degree: Minimum of 120 hours/credits, completion of UALR core requirements, 42 hours of major requirements, completion of an Outside Upper-Level requirement (12 hours), UALR GPA of 2.0 overall. The School also offers a master of arts degree in journalism. See the UALR Graduate Catalog for details. 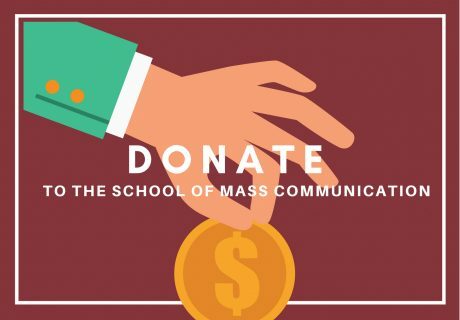 The School sponsors chapters of Kappa Tau Alpha, the national journalism scholarship society, the National Association of Black Journalists, the Public Relations Student Society of America, and the Society of Professional Journalists. Journalism majors are invited to apply for annual scholarships contributed by the Arkansas Democrat-Gazette, the Arkansas Newspaper Foundation, friends of Edward Jay Friedlander, friends of William K. Rutherford, Herbert and Gertrude Latkin, friends of Harry Ashmore, Clifton O. Lawhorne, the family of Roy Mitchell, and Edith Wood Sweezy, the Governor Orval E. Faubus Scholarship, and the Jerol Garrison Journalism Scholarship. Journalism students also may compete for other University scholarships. 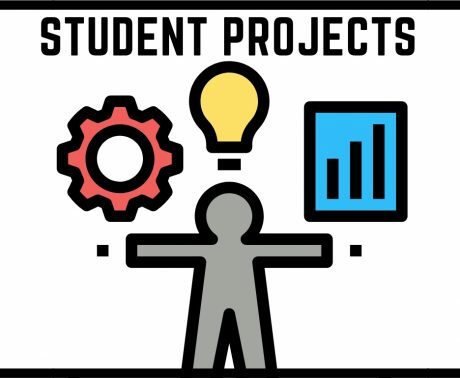 All material submitted by students as assignments in writing, reporting, editing, photography, and electronic news gathering classes is subject to broadcast or publication. The School uses a variety of electronic and print media outlets, including its own statewide news service. Students taking journalism writing courses must have at least minimal word processing ability. A BA in Mass Communication with an empha­sis in Mass Media is structured for flexibility in meeting individual needs while emphasizing the high degree of professionalism and responsibility expected in media-related industries. This emphasis is for students who want to pursue an individually tailored course of study preparing them for careers in new media as well as traditional media areas. After completing the 15 hours SMC core classes and emphasis requirements, students in this emphasis will select 27 hours from two of the three remaining Mass Communication emphases (Journalism, Media Production and Design, and Strategic Communication), with at least 18 hours in upper-level courses. Students must develop a course of study plan in consultation with their advisor prior to beginning coursework. All study plans must be approved by students’ advisors. No degree plan will be considered approved until it is signed by the student’s advisor and the School of Mass Communication director. A BA in Mass Communication with an empha­sis in Media Production and Design provides students with the practical and theoretical knowledge needed to become effective professionals in the areas of film or television production. theoretical knowledge needed to become effective professionals in the areas of film or television production. A BA in Mass Communication with an empha­sis in Strategic Communication prepares students who are skilled researchers, writers, and planners capable of producing messaging campaigns for a variety of audiences.